If you play games on Facebook than you are familiar with the "life every 5 minutes" or so. The developers reward you with lives incrementally to keep you coming back. You can also "gift" lives, coins or power-up to your friends to remind them to keep coming back. There is usually a one-per-day-per-friend limit. 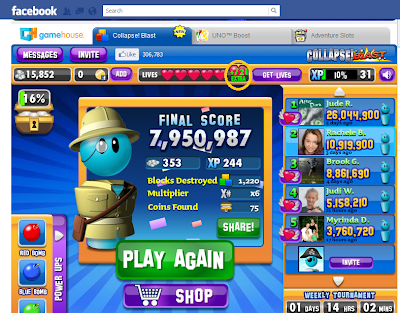 As you can see, my friends have been so generous that I have received 721 extra lives. Unfortunately this makes the game less interesting for me. I've also found that when I return the favor, at least one person reciprocates immediately and receiving lives while playing slows the game play and messes with my rhythm. I make sure to send lives after I play to avoid this. 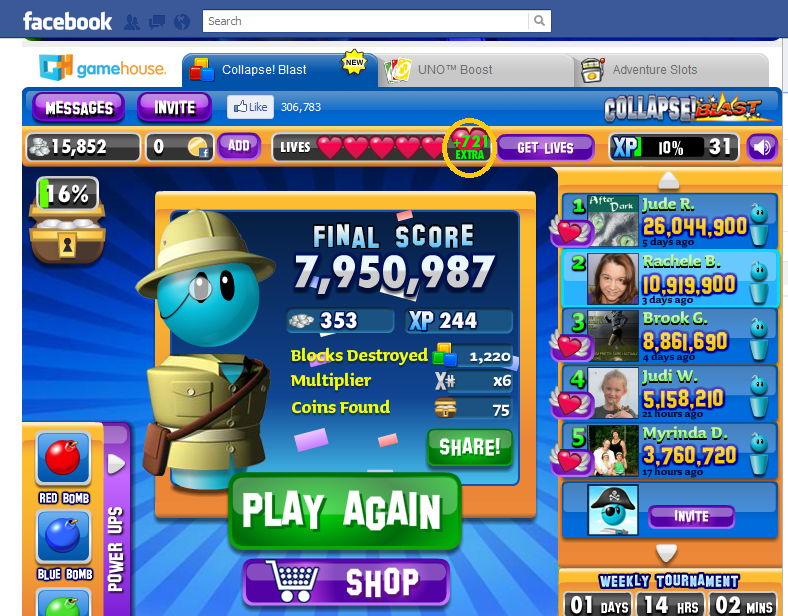 Have you notices errors in game play on Facebook? Please share so we can all share in the rewards before the developers become aware of them. We've been kinda busy around here. School, homework, Boy Scouts, Daisy Scouts, Pumpkin Picking, Halloween Costume Picking, A couple jobs for Mommy (outside of blogging) . Back to School Events and colds. Flu for Mommy that knocked me down for 4 days beyond the mandatory mommy tasks. We'll be back with regular posting soon. Congrats. You're going to LOVE it! That, my friends. 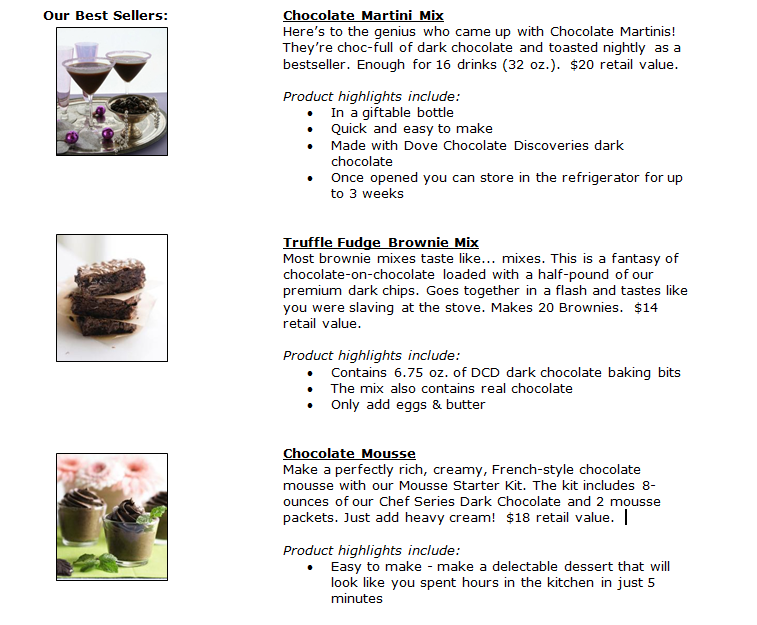 is the Dove Chocolate Discoveries Starter Kit. Everything you need to be successful in your own business as a Chocolatier. Being backed by Dove is the added bonus. Every day more and more women are venturing into business for themselves. Whether it's for financial freedom, the ability to work their own schedules, to be able to be home when the kids are home or just to get back out of the house business are popping up everywhere for women (and men) to make money by selling tried and true products. Candles, cookware, adult "toys", jewelry and makeup are just a few of the items that come to mind when thinking of in-home parties. I get invited to at least 3 of these every year. The difference with Dove Chocolate Discoveries is that it's doubtful you'd hear about "having too much", or "not needing nay." This is the business that continues to create profit and build repeat customers. It's Chocolate. If you are looking into starting a business of you're own. This should definitely be on the list of ones to consider. 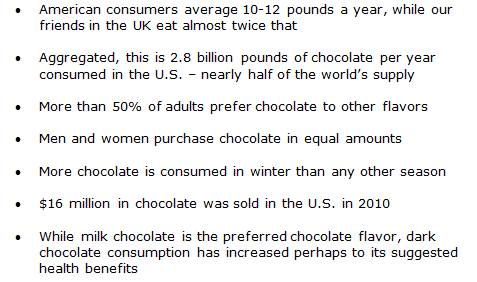 You can also find out more information on the Dove Chocolate Discoveries Facebook page. In honor of Women's Small Business Month, Dove would like to give one lucky ready their very own Starter Kit. 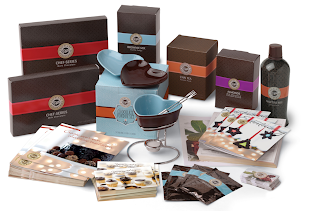 It includes all the chocolate and printed materials you need to host your first 4-6 Chocolate Tasting Parties. *Leave a comment on this post telling why you would like this Dove Starter kit and what you would do with it. Contest Ends 11:59pm Sunday, October 16th. Here's a sneak peak of just some of the things you will receive. I'm looking forward to sharing Chocolate Martini's with friends this weekend. Who's in? I wrote this review while participating in a campaign by Mom Central Consulting on behalf of DOVE Chocolate Discoveries and received a Starter Kit to facilitate my review. I've recently had several online (and off) discussions on The Middle. It's a popular show with a quirky family that most of us can relate to. My 5 year old loves the show and was very excited to see the Season 2 DVD arrive. She told her brother, "That's a show Mom and I watch. It has a boy who whispers to himself *(whispering) whispers to himself." We were watching last night and there's an episode where Axl (oldest teenage boy) gets in trouble for leaving his socks lying around the house. Something my kids do All. The. Time. The father has had enough and punishes him by not allowing him to play in his Basketball Team's Final Game. Extreme? Yep. Real? Sure is. I find myself often getting fed up and spouting off some extreme punishment. I'm usually always apologizing for over-reacting and downgrading the "sentence". Now I'm learning to withhold information so as to not make it available for punishment. For instance, this weekend I plan to take the kids to North Carolina to see their uncle and cousin. I haven't told them because a) I want to surprise them and b) then it becomes a tool to modify their behavior. I'm trying to get better at consistency. I don't want to have to use the weekend against them for bad behavior so I'm not telling them until we're leaving. No chance of the weekend getting cancelled that way. Have you ever over disciplined your kid/s? Did you retract or follow through?